A marketing plan is a blueprint that specifies the steps to be taken by a company to maximise their reach in the market. It is crucial for any business to develop an effective marketing plan as it outlines a company’s course for success. Also, the basic premise for any marketing plan being developed for a brand is to convert their product or service into concrete sales. Whenever you start developing a plan it is imperative that you start by defining a framework for a communication board. This entails designing a basic brief layout about the brand i.e. what does the brand convey, produce or provides a service to its consumers. After you have a proper understanding of what the brand is all about, research on the complete industry scenario which the brand operates in. A detailed study on the industry is essential for you to determine the growth, competitors and overall scenario. At times you will also have to consider if there are any significant policy changes being implemented in the industry and decide whether it is a boon or bane for the brand. The next step to form a compelling plan for the brand is to execute a detailed competition analysis. This entails having an accurate knowledge of one’s competitors reach in terms of their presence on social, digital and traditional media platforms. Then comes the most pivotal aspect of a plan, which is defining the brand’s target audience. Evaluating your target audience’s geographic and demographic characteristics in terms of their age, gender, income and so on is a basic perquisite for a proposal to develop. Moreover, along with their demographic traits it’s also crucial to determine their lifestyle and behavioural attributes to prepare a sound marketing strategy. Any marketing plan needs to ensure ground work on how their competitors are performing in the current market scenario and then accordingly conceptualize on how to take their brand to new heights. The plan should ideally include a media and consumer dipstick, to understand the consumer behavior and if there is actually a demand for such a product. Media dipstick also helps to analyse how perceptive they are to current brands. Such analysis provides deep insights as to how aware they are of the brand, its products, their competitors and in general their interpretation on the product etc. When all the above pieces are framed sufficiently, the next action step is to define a brand’s communication objective for the next 6 months or a year. The communication objective is basically defining the key goal for the brand. Once the objective is listed, one can then create a strategy roadmap for the brand based on the above research. In strategy one needs to propose the relevant marketing mix that the brand can utilize to expand their reach in the market. The team developing the proposal should adequately determine whether the brand needs to deploy a new social media strategy, public relations outreach, influencer marketing or indulge in various ATL or BTL activations. 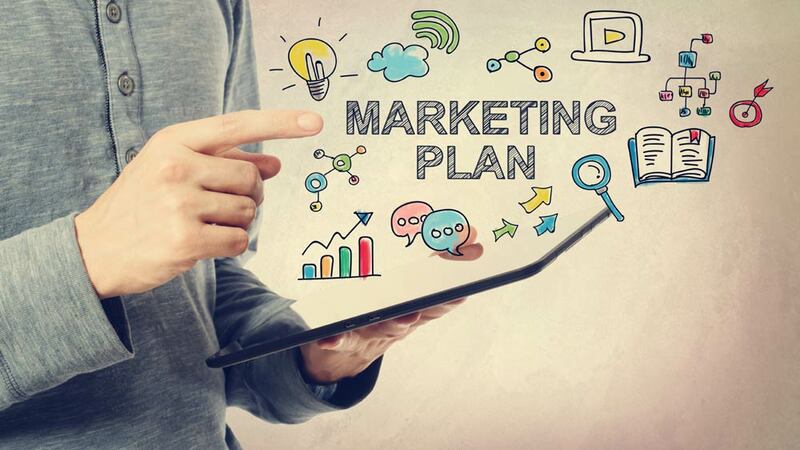 A marketing plan should be unique and have an x- factor to enhance the brand’s presence in the hearts and minds of its end consumer. In a nutshell, a lot of hard work, creativity, brainstorming, strategizing and research are required to develop an impressive and successful marketing plan to elevate the brand’s position. Lastly, to ensure the success of any marketing plan, it is imperative to list down the measurement matrix to determine the success and failure of any plan. This article has been authored by Ms Neha Bajaj, Director & Founder, Scroll Mantra Pvt Ltd.